Home Articles What is a Timeframe in Forex Trading? Many novice traders ask: What is the timeframe, why is it needed and how to work with it. Let’s look at this issue in more detail. This is a specific period of time reflected in the graph of the working asset. It is used to form the quotes of the price chart for each asset used. A timeframe is used in the construction of indicators of candlestick, linear and other types of technical analysis. Minutes. Spacing of the interval starts from a minute to 30. Hourly. The time period is 1 or 4 hours. Periods of high order. D1 – daily timeframe. The interval is adjusted during the day. W1 is the weekly timeframe and WN is the monthly timeframe. Their time interval corresponds to the name. Some terminals use the annual period by default, but if this timeframe does not suit you, you can use the adjustment using the settings. Each type of timeframe has its own characteristics. The short-term group of time periods on Forex is most often used by scalpers. They are aimed at quick profits. 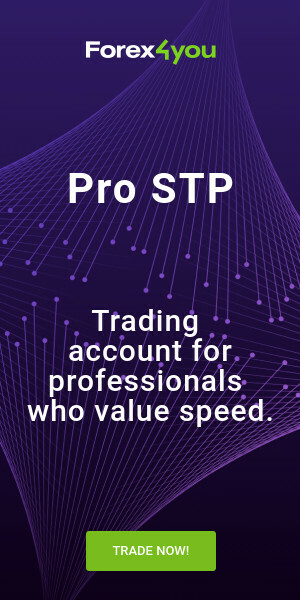 Traders with this strategy actively use the leverage opened at the terminal, so the work requires special care with the slightest change in the direction of the price. Minute timeframes are suitable for work for experienced traders who are able to quickly assess the real situation and make adjustments. Beginners better pay attention to longer periods of time. Medium-term timeframes are the most used group, which has gained its popularity due to the convenience of intraday trading. For example, a time interval is ideal when organizing work on Forex in the relationship between profit and loss-making risks. Not all brokers have long timeframe functions. Usually, they end up with a period of up to two weeks. Not everyone has a deposit that can withstand kickbacks over long periods. It is difficult to predict the movement of the price of profit over a long period due to the large market volatility. Each trader chooses for himself a convenient timeframe, based on the strategy of work and how to achieve profit. By whom and how are timeframes used? Each category uses its time frame for trading. Scalpers work the fastest, have the shortest timeframes, get quick profits. But they have big risks of losing trades. Opening a deal, their main goal is to reach a profit of 10-15 points, then quickly get out of the lot. It is important to closely monitor the price movement and close positions on time. Short term traders guide focus on the daily time range. They can hold open positions from days to days. They have the ability to set a stop-loss, providing protection against losses. Day traders work within the daily segment, leaving no position for the following days. Their goal is to take daily profit on the entire price chart. Investors, so-called long-term, do not seek to make a small profit at the moment, their goal is to invest in large long-term transactions with obtaining large profits in the future. Given this feature, their stop-loss can go up to 200 points. There are many nuances associated with the work of timeframes at each trading terminal. But the information provided is the basis for all Forex traders. This article is presented by PaxForex. Click here to open an account with PaxForex Broker. You can see the list of other Forex Brokers here. Previous articleRegister for Alpari contests and win!